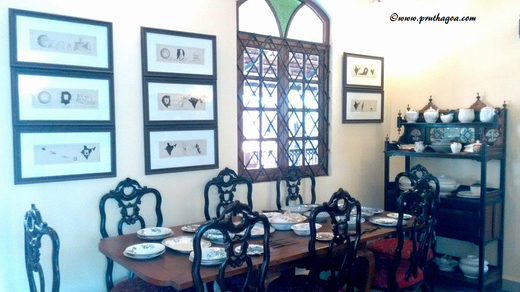 Goa Cruti is a new addition to Victor Hugo Gomes’ increasing number of museums showcasing Goa’s history. Earlier there was Goa Chakra, highlighting the wheel and its significance in Goan culture and history. The future looks to another museum in Betul celebrating boats and the fishing community of Goa. 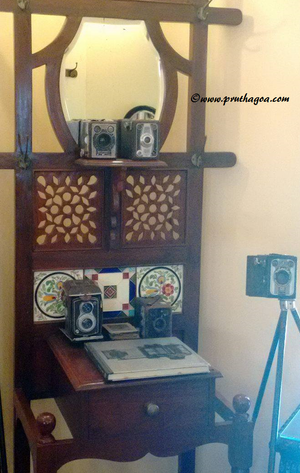 Victor has long been driven by his passion to salvage Goan heritage and relics of the past. He believes this is essential to create and develop a sense of responsibility among the Goan youth and to whet their thirst for knowledge of the past. 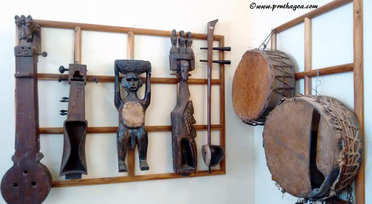  Goa Cruti Museum is a totally different concept from his previous endeavours and focuses entirely on the different professions of Goa’s colonial past. ‘Cruti’ means ‘work’ and some of the areas covered are medicine and law. 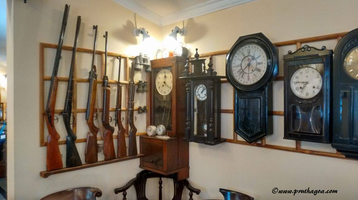 There is ornamental furniture, exquisite crockery, bottles, priests’ vestments, musical instruments, guns and other weapons, cameras and so on. Why are the professions of medicine and law of consequence? The reason is that they were introduced by the Portuguese. ‘We didn’t have a concept of ornamental furniture. This too came with the Portuguese. Prior to the Portuguese rule, we wore wrap arounds and saris which could be folded and kept away. We didn’t need cupboards,’ says Victor. To collate the items connected with law and medicine, Victor personally made the rounds to old lawyers, went to hospitals that were no longer functioning, and went to the villages to look for any pieces of medical history he could find in doctors’ clinics. 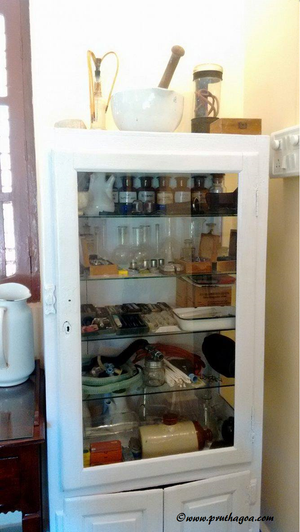 He spoke with the families of doctors who had passed away to convince them to part with these artefacts. Some were generous enough to gift the objects to him. About seventy percent of the items have been bought, particularly the furniture, crockery and musical instruments. 'I’m doing this for a much broader vision,' says Victor. The Goa Medical College, which was established by the Portuguese, would have been a wonderful and appropriate setting to display these articles belonging to the medical profession but this is not happening because people are constricted in their thinking. Victor’s aim is that, by his work, this idea should reach and prod the people in the system to expand on whatever he has achieved so far. Whatever little he has, has been used to develop Goa Cruti. He has even rummaged scrapyards to add to the museum. 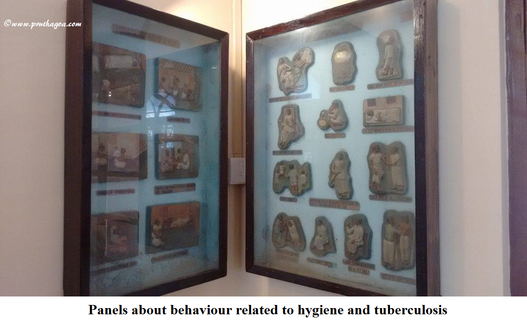 The panels that describe what one should do to if one contracts tuberculosis were among the objects discovered at a scrapyard. Surgical tools, which would have been dismantled for the metal and lost to posterity, were found too. ‘Nobody has the vision to collect and keep these things,’ laments Victor. There are notable facts that will be lost with these objects. 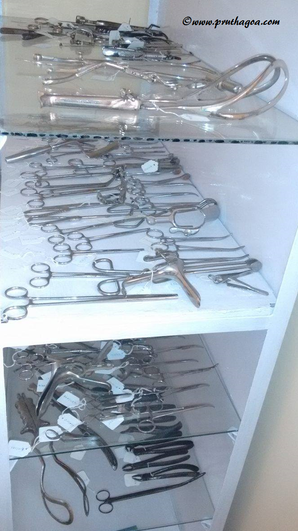 For example forceps, which are no longer available, were once used to crush the head of the foetus in the process of an abortion. There used to be trays with stands that were employed to wash and disinfect hands before entering a hospital room. Furthermore, doctors in those days had no specialisations. They did everything from dentistry to ophthalmology. 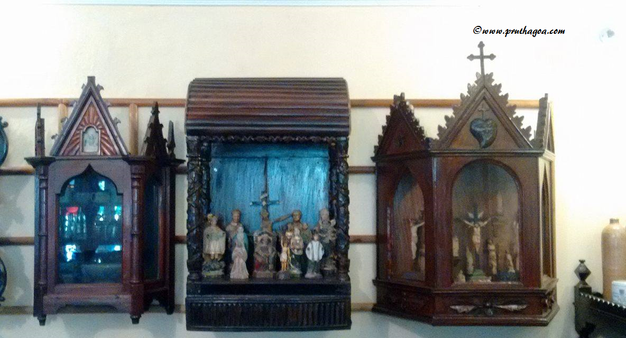 In the Goa Cruti collection resides Victor’s cherished panels from Saint Francis Xavier’s expositions in 1964 and 1974. These were gifted to him by the creator, Dom Martin. Much effort has gone into ensuring an optimal security system, gathering funds and developing an inventory system. Although the Government has made promises to support his work, the promises have proved to be hollow. Yet at his own cost, Victor invites people who possess artefacts of historical note to consider allowing Goa Chitra and its associated museums to house and preserve them. 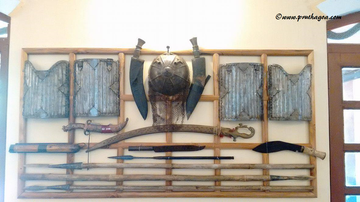 He says, ‘Some people are very attached to historical items but they don’t know what the next generation will do with them.’ There is security at Goa Chitra and they will continue to be the owners of the objects, while the objects themselves will be well cared for at the museum.